Jumping for joy that one of my friends has a new book out under her pen name, Judith Tewes. And she’s doing a Rafflecopter giveaway (scroll down for details). To celebrate, I invited her to my blog. I was planning to serve a cool glass of sweet tea to cool us off in the summer heat, but as you’ll see, Judith prefers the frigid weather of the north, so hot chocolate may be her beverage of choice. In spite of her preference for cold, Judith’s writing remains HOT, HOT, HOT. If you pick up her latest release from Bloomsbury, you’ll see what I mean (details below). But first, I’ve asked Judith to tell us a little bit about herself so you can get to know her better. How has where you’re from and/or where you have lived (or visited) influenced your work? I’m the daughter of an army brat, so my family moved around quite a bit. We’ve lived across Canada, from coast to coast – Summerside, Prince Edward Island to Nanaimo, British Columbia. But I’ve spent most of my adult life in Alberta. We currently live in a small northern Alberta town…lots of forest, lakes, and wildlife, cold temperatures…and lots of snow. What sensory details do you surround yourself with while writing? I always have music cranked or a movie playing in the background while I write. I respond to the tones, moods of the music or scene playing. My typing speed even picks up with faster paced songs. I’ve tried to write in absolute silence, and it just doesn’t work. I do have playlists for certain projects – dark/ haunting tunes for my paranormal and lighter/ romantic/ angsty ballads for my contemporary. However, the fact that I get up super early in the morning to write means I always have my earbuds in, so my blasting music doesn’t wake the entire house. You manage to wear many different hats (screenwriting, asst. publisher, author with multiple pseudonyms, library tech, musician/ songwriter, etc. How do you balance your various roles and why/how are each of them important to you? Balance is a constant struggle. Sometimes there are deadlines that take precedence, and everything else has to be put on hold until “mission accomplished,” but I’m usually able to divide up projects/ promotional tasks by day of the week or focus on a few things in the morning and others in the afternoon. The beauty of my day job (elementary school library technician) is that it relates to my publishing efforts. My background as an author comes into play at the school where I’m often asked to do writing workshops for classes and makes it very easy for me to present to schools during author visits. I can switch hats – talk as an author, share tips with the teachers, talk shop with the library staff – and am familiar with most of the titles the students are reading, from picture books to young adult fiction. I’m lucky to have a career that compliments my passion and my art. Oh, and I’m a firm believer in to-do lists. How is your Judith Tewes’ release different from your other books? Well, there’s winter. Lol. But also, across the board my characters are quirky and sarcastic. I love to write strong female lead characters with snarky attitudes that mask their vulnerability. And I can’t seem to resist throwing in some serious heat/ romance. Follow me on any social media site, and you’ll soon meet my crazy pups. I’m one of those fur-moms. lol My husband and I have three labs. Here they are below. 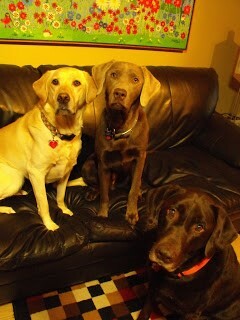 Willow is our sweet yellow-lab female, and the boys are Higgins (chocolate), and Grimm (silver). You know your question about balance? I’d say our dogs provide that the most for me. When I’m sitting too long at the computer, they’re nudging my elbow to be walked. When I’m mulling over a plot hole, they’re game for a round of fetch at the lake. When I’m celebrating the sale of a new project, they dance around the house along with me. They keep me grounded, and my clothing accessorized with tri-coloured dog hair. Wouldn’t have it any other way. Thanks so much for visiting, Judith and for sharing a bit of your life! It’s been great to have you. 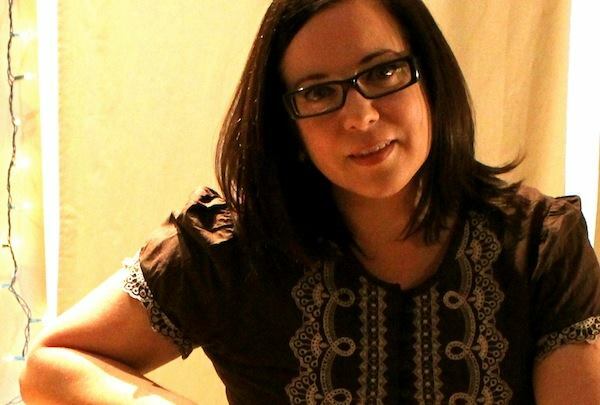 About Judith Tewes: Multi-published, award-winning author, screenwriter, and playwright, Judith Tewes resides in small town Alberta, where she: writes, sings, plays bass guitar in an all-woman band, walks her three crazy labs, and suspects she’s living the life of a superhero’s alias. A commercial writer writing under several pen names, Judith’s work includes: paranormal, steampunk, and contemporary young adult fiction, as well as thriller, horror, and dramatic comedies for the stage and screen. 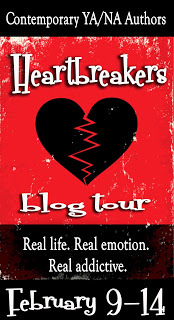 This February I’m lucky enough to be doing a blog tour with 13 other great authors to celebrate the launch of the first book in the YA series WANTED that I’m writing as Erin Johnson. Lots of great books and authors and fabulous prizes, including a free Kindle. Check out Facebook and Twitter to learn more. 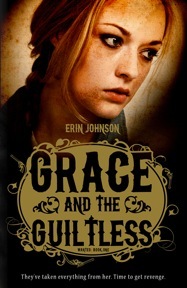 After her family is slaughtered by outlaws, sixteen-year-old Grace Milton goes on a vendetta to capture the gang who did it. 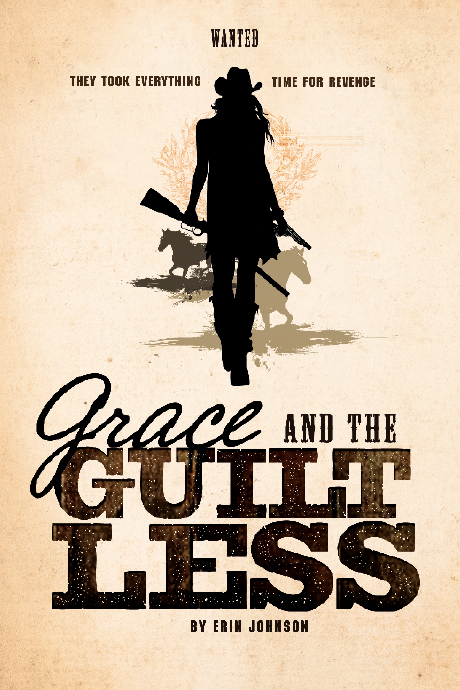 But once she meets a rugged range rider, she’s torn between revenge and love. It’s always fun when a critique partner has exciting news. 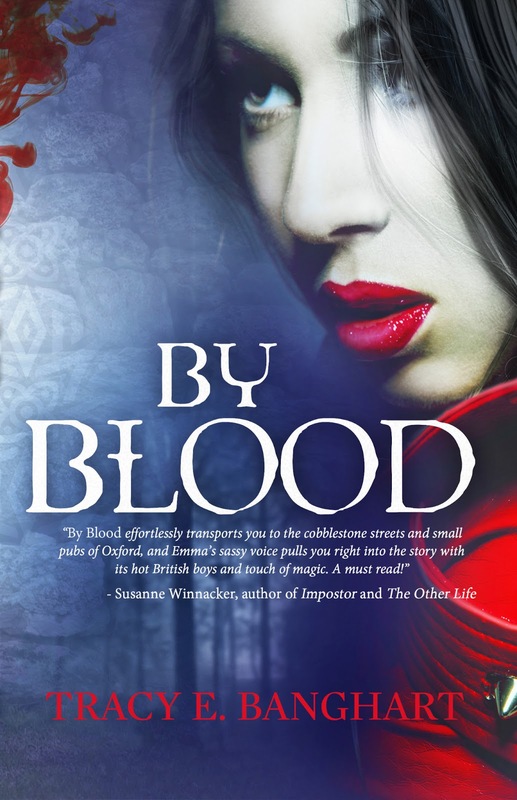 Here’s a cover reveal of my CP Tracy E. Banghart‘s YA paranormal novel BY BLOOD. To celebrate her release, Tracy’s giving away a bunch of swag. To participate in a Rafflecopter giveaway, just click on the link. NOTE: the first set of prizes is for US readers only, but the second prize pack is for international entrants. So wherever you live, you can enter to win. Here’s the list of awesome prizes. family’s dysfunction all. summer. long. movie–loving, fantasy football–playing (go Ravens! 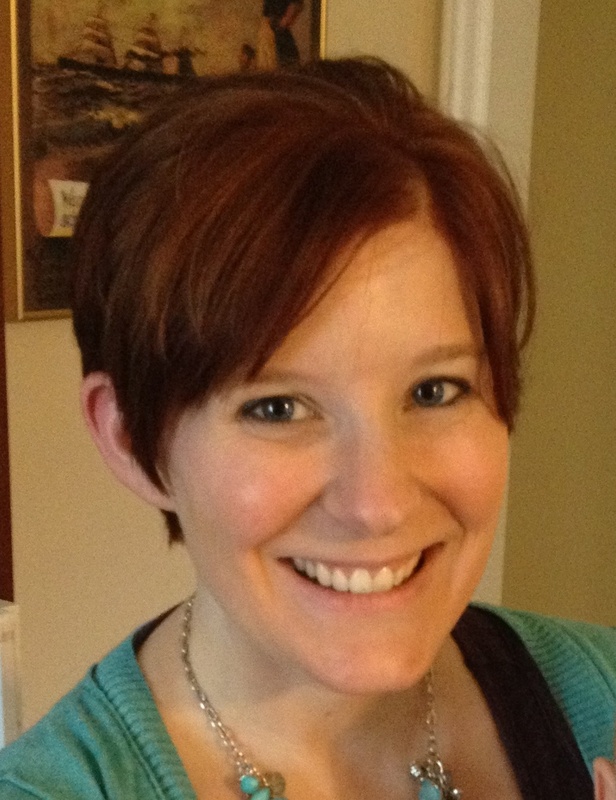 ), globe-trotting Army wife who began “practicing” her craft at the age of five, when she wrote her first story. She loves visiting the international friends she met while pursuing her MA in Publishing and spends a portion of every summer at her family’s cabin in Canada, where she finds inspiration and lots of time to relax on the dock. She lives with her husband, son, two lazy dogs and one ornery cat. When not writing or spending time with her family, she is on a mission to bake the perfect cupcake. 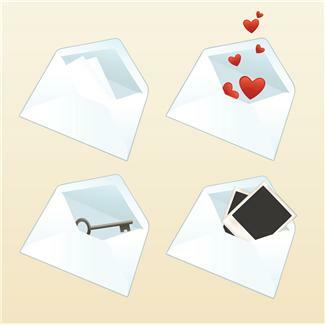 I began a totally new project in December–ghostwriting a romance. I’ve ghostwritten nonfiction, but this is my first attempt at working from someone else’s synopsis. That’s been a challenge. I find that my brain starts popping out kernels of ideas until I have bowls full of popcorn, but I have to sweep more than half of it in the trash because it doesn’t fit the outline I’ve been given. I’m convinced that my additions would make for a better, stronger story, but they’d take the book in a totally different direction. I guess writing to a preset outline is good discipline, as is setting aside several hours a day to work on fiction writing, but I wonder if my creative brain will suffer if I constantly ignore its ideas and directives. Any thoughts?